Recommended in The Penguin Guide to CDs and DVDs - Edward Greenfield. 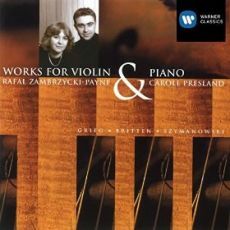 "...tremendous personality and life... Zambryzcki-Payne's partner, Carole Presland, is a superb pianist..."
"RZP and CP are alert to the (Britten) Suite's every outsize gesture - save for the Lullaby, which they perform with an appropriate sense of mystery. 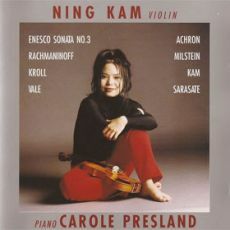 Payne and Presland keep the musical arguments taut and purposeful, something they also do for Grieg's greatest violin sonata. 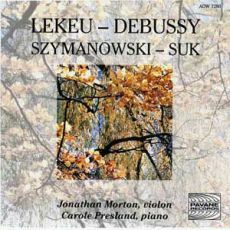 It's a good, sturdy performance, vital and expressive and very nicely recorded"
"Symanowski appears to be feeling his way, vacillating between tempestuous outbursts of Germanic angst and an unmistakably Gallic sensuality. Z-P and Presland throw themselves headlong in to the work, positively revelling in its hedonistic contrasts. This talented team negotiate the music's bewildering cross-currents like primed athletes. 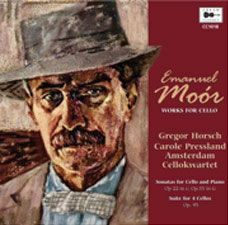 Although it is the Grieg Sonata's sturm und drang character that makes the greatest impact here, when the music turns inwards there is also much poetry. I have rarely heard the outer sections of the slow movement played with such tender sensitivity, nor its elfin central section so magically voiced. A dashing performance" The Strad.
" This disc is pure fancy and fun, artfully executed. 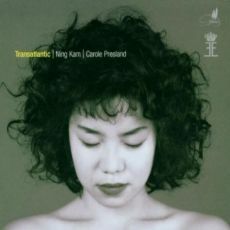 Carole Presland makes an excellent partner in this quirky venture, always willing to take the tongue-in-cheek moments as seriously as Ning Kam does, allowing the listener the lion's share of enjoyment. And everything from the sonics to the packaging makes this an attractive, exciting and worthwhile release." "I love the way Kam and Presland play the five pieces called Hexapoda by Robert Russell Bennett. 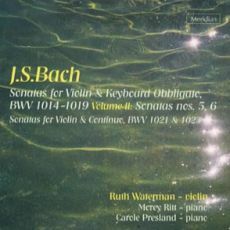 I even prefer them to the Heifetz recording because of the really idiomatic feeling they have for the music"
"Thoughtful and finely nuanced Bach Sonata recordings... lovingly prepared". Gramophone. 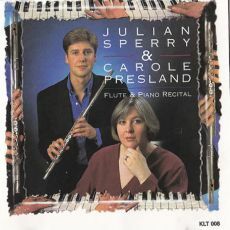 Horsch and Presland have embraced this music in their concert programme and give exhilarating performances of these works, all appearing for the first time on CD"
"It is always a pleasure to listen to instrumentalists like Julian Sperry and Carole Presland, when they have reached that standard of music-making where all the works they play seem easy and you know that they are not...Their playing has an expressive intensity of feeling which really brings the music alive... an excellent CD."